By now you’ve probably realized just how detrimental sitting for long periods of time can be for your overall health. Which is why we’d love to share with you all of the benefits of using a stand up desk. 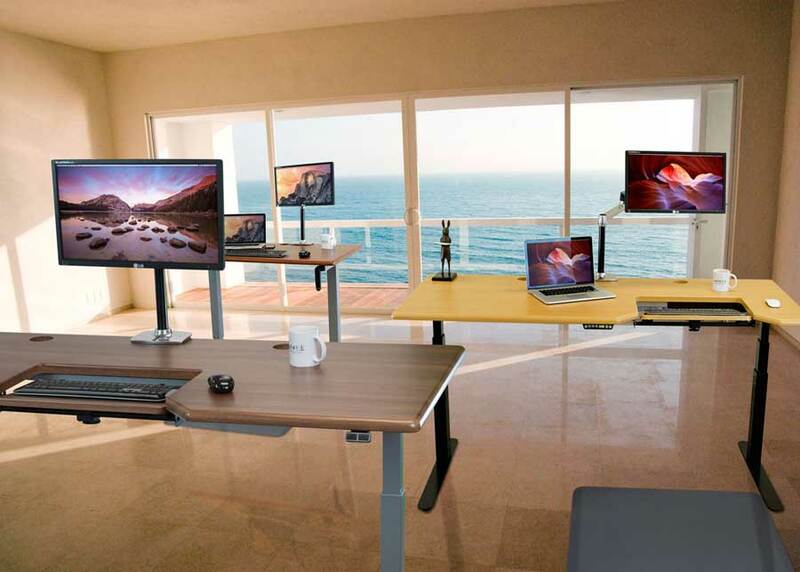 The best thing about using a stand up desk is that you can use it anywhere you want to, home or the office! Which means you’ll always be able to improve your health because of these amazing benefits. 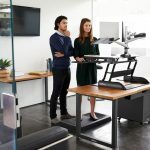 Keep in mind that some of these benefits are based on how long time stand up users feel about stand up desks and some of these benefits are proven by scientific studies. 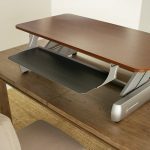 After going through all the benefits on this list you’ll be wishing you started using a stand up desk years ago! Let’s get started, we have a ton to go through. 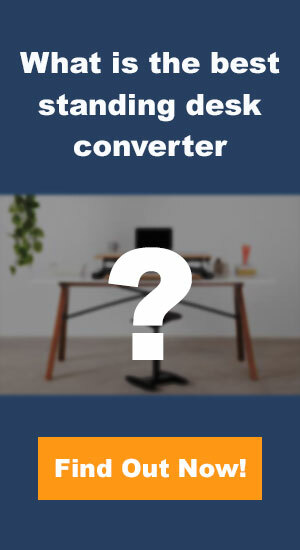 When you are sitting in that dreaded C angle, leaning forward, you’ll put strain on your rib cage and your breathing, this can be avoided by standing while working, because you’ll be able to breathe better over time. When you’re standing at a stand up desk, you’ll feel more motivated to just get your work done, instead of getting distracted. Because of higher energy levels, you’ll find that you’re much more likely to work harder and stay motivated. When you stand, you’ll be more awake and less tired and grumpy, it’s always a great improvement at home or at the office. If you often find yourself fatigue or tired, check out our article on how to fight tiredness while using a standing desk. If you’re someone who constantly deals with lower back pain, by using a standing desk you’ll be able to keep your back pain minimized, especially the curved area of your spine, which is also known as the lumbar curve. There are also exercises you can try out to help fight your lower back pain. By standing more in your day to day work life, you’ll look younger for longer due to DNA not multiplying as fast which is why keeps the aging process visually going forward. Sitting for long periods of time can lead to your digestive process slowing down, causing you to put on weight quickly which can lead to a whole new list of health issues. By standing you can avoid this completely and digest correctly. You’ll find that you have so much more energy when working at a stand up desk, it will keep you awake and you’ll feel motivated to work as hard as you can. You’ll be able to lower stress when standing because of the natural endorphin release which will give you a natural high that keeps you going throughout the day ahead. Office chairs tend to cause your legs to feel stiff and might even make them fall asleep, causing tingles and needle like feelings. This is usually due to circulation issues, but by standing, you’ll feel more energized and most of all less stiff! When you stand you’ll be bearing your own weight, which will make your bones stronger in the long term. This way you’ll be able to avoid diseases like osteoporosis. When you have a massive amount of strain on your body, that occurs from sitting down for long periods of time, it can cause pinching and headaches that are felt throughout the day. But when you stand, you will allow your blood to flow freely, leading to less headaches and migraines in the office. You’ll experience a much higher sense of self when you stand because you’ll have better posture and more energy to keep you motivated. When you stand and stay active during your work day, your body will actually burn fat and keep your leaner than most people who spend their days sitting. The reduction of cardiovascular disease should no longer be a threat, mostly due to the fact that it’s been studied and proven that there is a link between sitting long amounts of time and cardiovascular disease. Sitting all day will usually encourage your spine to bend forward in a C shape, which can cause soreness, inflammation, and ruptured spinal discs. When you stand, you will have better posture and you won’t end up leaning forward in the dreaded C shape. When you sit for very long periods of time, it often will lead you tilting your neck forward in very uncomfortable and unnatural positions. When you stand up you will actually have better posture and you won’t curve your neck. Sedentary death syndrome is very new in the medical world, but it is very real, it’s also known as the sitting disease. By sitting for long periods of time it can damage your health and cause you live a shorter life. Like we mentioned before, sitting with poor posture can encourage hunched over shoulders which can cause intense amounts of pain. But when you work at a standing desk you’ll find that your shoulder pain will diminish and you’ll feel much more balanced. Sitting for long periods of time can promote regular bathroom trips, because of the creation of extra hormones. Not only will this cause you to constantly use the bathroom throughout the day, but it will also lead to blood sugar disorders. By having better circulation by standing, you’ll improve many aspects of your life. Almost all health issues can be worsened by poor circulation, which is why it’s so drastically important. Your body will start to shut down in a sense when you sit for long periods of time. Making it very easy for your muscles to start losing their strength and breaking down the muscle tissue all together. Be sure to stretch every thirty minutes, or as often as possible, because even standing can help reduce this risk. Your core is just that, the core of your body. If your core isn’t strong, you’ll be able to build up your muscles. Specially when you do small exercises to keep you active while standing such as flexing your abs or leg lifts. When you have a balanced lifestyle with healthy exercise, you’ll find that you’ll lower your diabetes risk because you’ll be able to boost your insulins process of managing sugars. Obviously if you’re standing all day at work or at home. Sitting for a long period of time can cause heart risks and chest pains, but when you stand and keep active, you cut that chance in half. When you stand, you feel stronger and more in charge, this will make you feel confident and proud of the work you’re working on. You actually burn twice as many calories compared to when you’re just spending your time sitting. Standing makes your energy levels increase so you can pay more attention to the task at hand. Instead of just being distracted 24/7. Sitting down for long periods of time can cause you to have swollen joints and ankles. This usually means you’re not circulating properly. By standing you can avoid this completely. Standing can help you live longer. The secret to long life is staying active and taking care of your body, which standing does help! When you sit too much you have more of a chance to develop hemorrhoids, which is why you should stand instead of sit all day. When you sit excessively for long periods of time, it can cause varicose veins, but so can standing, so it’s great to find a balance between the two that works for you! Since you’re already standing, it won’t be a big deal to walk over to your coworker for a collaboration or to jump into a team meeting. By standing you’ll find yourself motivated to get more involved. To stay healthy, you want your blood sugar levels to be as low as they possibly can be. But when you spend all day sitting, your blood sugar will rise. A great way to combat this is by standing after your eat or by using a standing desk. Many studies have concluded that there is a very real link between sitting and cancer risks and development. Which is why it’s important to keep moving and use those natural antioxidants that your body produces when being active and standing to help fight back against serious risks like cancer. According to many studies and scholarly journals, by standing you can lower your cholesterol and increase your heart benefits, which keep you healthy. When you sit for a long time, your hips and legs will tighten up, making you much less flexible. When you stand you’ll have your full range of motion. You’ll be able to stay awake longer and stay sharp so you can pay attention to all those tiny details when you stand while working. You’ll have better focus due to the importance of circulation. Micromovements are much more possible when you stand to work at your desk. They will help keep your muscles active and energized, increasing the overall tone of your body. You’ll find that you have much more brain activity which will promote more blood circulating through your brain, this occurs when you stand. When you sit the opposite happens and everything slows down. After reading through this extensive list, it’s safe to say that standing throughout the day and finding the balance that works for your lifestyle and work flow, is the best choice you can make for your health. What changes will you be making in your life?